Hi Everyone! This post is for all of you chocolate lovers out there. It’s got marshmallows and walnuts and, of course, chocolate. 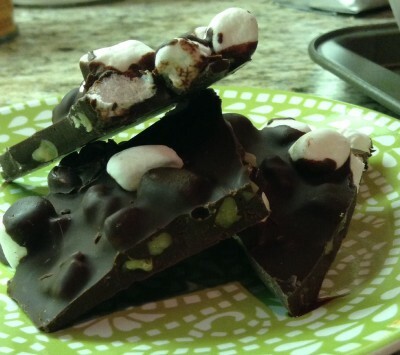 Think of it as Rocky Road ice cream in the form of a candy bar. It’s the perfect sweet treat that you can keep in your freezer for those late night chocolate cravings. Chocolate pairs perfectly with nuts. 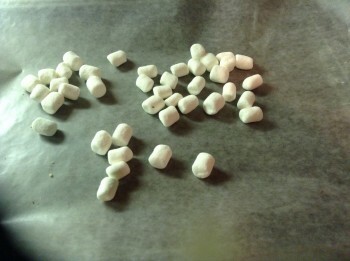 For this recipe I used walnuts, but you can substitute the walnuts with almonds, pistachios, peanuts or macadamia nuts. 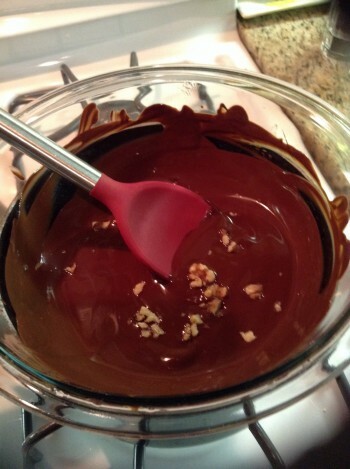 Once the chocolate has melted, mix in the walnuts…. For this next step, be sure to use oven mitts when grabbing the glass bowl. It will be very hot! 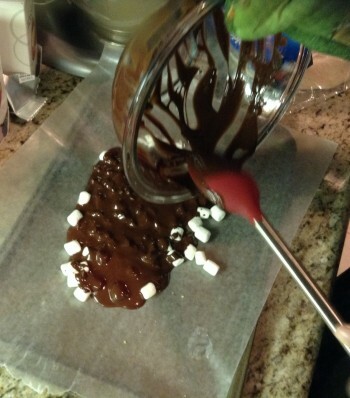 Sprinkle a few marshmallows over the top of the chocolate, and then place the cookie sheet into the freezer for 15 minutes. 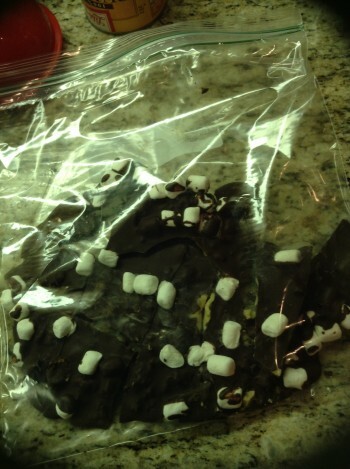 Once the chocolate is firm, remove the whole bar from the cookie sheet and then place it into a ziplock bag. Give the bag a few hits, and that’s all there is to making a batch of Rocky Roadies! 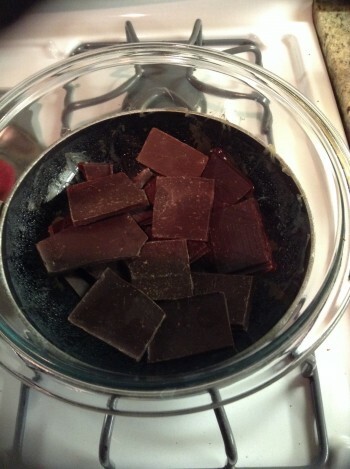 I hope all of you chocolate lovers try this recipe out. It’s a quick and easy sweet treat. Thanks for stopping by PeopleTreats! See you all next time! 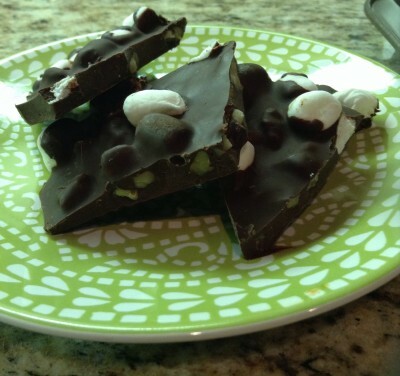 This entry was posted in Home, Main Meals, Recipes II, Rocky Roadies and tagged candy, Dark chocolate, dessert, Food, Marshmallows, Recipe by mrewilson. Bookmark the permalink. They are! Just finished the bag of them last night :)! Whoop whoop! I love chocolate!! Oh, yeah! Chocolate any time of the day!